TOM PRICE : The Opera is part of a project produced by Daniel Peltz (Associate Professor, Film/Animation/Video). Just as most of Australia’s iron ore is now being refined in China, the story of Tom Price has been refined by a Chinese opera company and is now being brought back to the town of Tom Price as a new Chinese Opera. 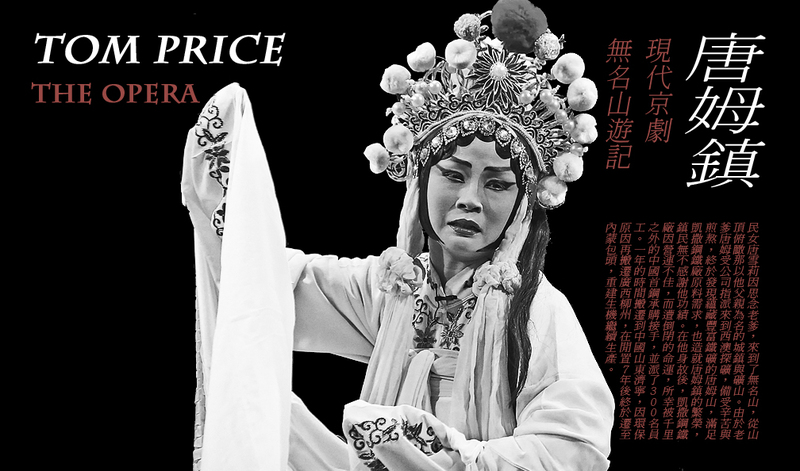 This “new” opera uses the classical style of Peking Opera to tell the complex tale of global relationships that make up Tom Price; the town, the mine and the American man whose name they both carry. The Journey of Mt. Nameless tells the tale of Shirley Price, Thomas Moore Price’s only daughter. Shirley ascends Mount Nameless, where she encounters the ghost of her father. They reunite as she tells him of his complex legacy. Thomas listens intently and then makes a last request. The production is made possible by Spaced, a recurring international event of socially engaged art. Conceived and coordinated by International Art Space (formerly IASKA) spaced brings together international and Australian artists with communities throughout Western Australia to explore the relationship between globalization and local identity.